Normally when you think about Floor Seating, you think of some of the best seats at a concert, unfortunately today that’s not the case. This is a story that you don’t hear often but TUI Airways, a UK-based charter and holiday company, is under investigation after photos surfaced of a family sitting on the floor of one of the airline’s aircraft following an equipment swap. 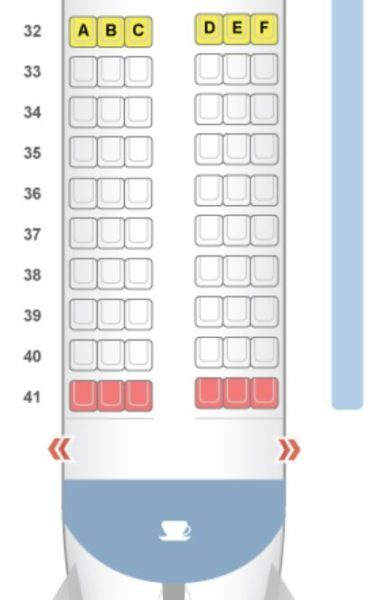 BBC News reported the Taylor family were issued with boarding passes for seats 41 D, E and F, unfortunately there were no D, E or F seats installed in that row. On this specific aircraft there was an empty space where the seats should have been. Normally in a situation like this, an airline will try to re-accommodate passengers with seats elsewhere in the cabin. Unfortunately on this day the flight was at capacity. It seems crazy to me that the airline wouldn’t just involuntarily bump the passenger to the next flight but instead the Taylors received non-traditional seats. Paula Taylor noted that her daughter received the last available cabin seat. Which is where she sat during takeoff and landing, while she and her husband were offered crew jump seats during takeoff and landing. Once in the air the passengers occupied the empty space where there space should have been, as a family. The use of crew jump seats is restricted to badged crew members in the United States. Apparently, the Civil Aviation Authority in Great Britain is looking further into the matter, but said that passengers may sit in crew seats “under certain conditions,” but cannot be left unseated. After the flight, TUI Airways offered the Taylors £30 (about $39) and the option to refund the entire cost of their holiday, but only after the family got in touch with Rip Off Britain, a BBC TV show. TUI has also apologized to the family and said restating that a last-minute aircraft swap caused the error. While this certainly wasn’t the proper end to the vacation they were looking for, I think sitting on the floor might not have been so bad when you consider how uncomfortable slimline seats have become. In addition, all the beverages people lose during take off have to go somewhere and who doesn’t like free drinks? Have you ever shown up at your assigned seat to find it taken?